This site would not be complete without a page on those special niche templates that are used to give your site the impression of being just that… a Website… not a Blog. You have probably seen at lot of the templates below before, but I hope you will also find some that you didn’t know. There will be Free CMS Themes and also the so called “Premium Themes”, the choice is yours on what to use. Sometime a free one will do better on your site then a premium one. And sometimes you really need the extra documentation and support from a Premium theme, but please always check the Designers website to look for support and possibly a new release, as for every update of WordPress there might be a new feature that is build in the theme of your choice. Tip: Document all the changes you make in your template files, as it might be necessary to do them again if you want to upgrade your theme. I will be updating this page from time to time, as more and more people are looking at WordPress as a valid choice to use it as a CMS and are building theme’s that will do just that. Urbane is a great really colorful theme with lots of options to build a WordPress website that looks like a static site. Go check out the other free templates from Blog Oh Blog as well. And make sure you look at their premium themes as they look very different than the what you normally would expect. 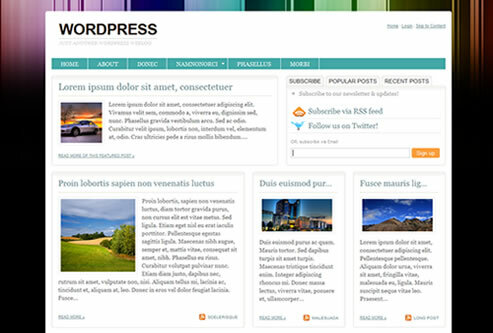 YGo Greenary is a real WordPress themes that provide a CMS like layout. 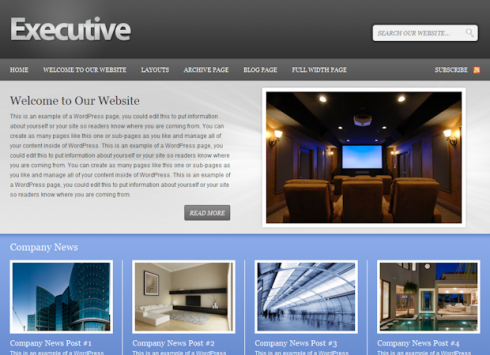 There is a lot in this theme with which you can create your own website. This theme is the current theme for WpSiteBuilding.com and it serves it well. However there is one thing I needed to chance to get the best SEO performance. You see this theme comes with a Search Engine Optimized Title field per post and page and that option would possible be a reason not to use an SEO Plugin like Headspace2, but there is no option to configure a Separate Title for the Homepage! and that code is what makes Headspace2 function without problems. Now I can set the Homepage title the way I want it and have it work its magic for Search Engine Optimization. Note: Premium Themes might have an affiliate link that hopefully will cover some of costs that I have just like you will have yours… thank you for your support if you buy a theme your really like.